These words were written by one of the most interesting of the many, many Scots who have come to Russia over the centuries, Sir Robert Bruce Lockhart. He was writing to his grandmother to ask her for money. The year was 1915, and Bruce Lockhart, who was British consul-general in Moscow, was straining every nerve and his personal finances to help keep Russian armies fi ghting Germany and Moscow industrialists making arms for those armies. The memory of Scottish-Russian contact in centuries past was just what the unconventional bureaucrat felt would coax help from his aged relative. 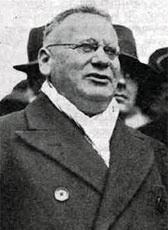 Though Bruce Lockhart got his money (when Whitehall had refused it), his efforts would ultimately be in vain. In the spring of 1918 he found himself acting as special British agent to the Bolshevik government in Moscow, doing what he could to frustrate German plans to milk the resources of Russia to bolster the Kaiser’s by then faltering fighting machine. As before, this required entertaining: Anyone who wonders why the Russians and the Scots have gotten along so well over the centuries could do worse than to read Lockhart’s account of how he enjoyed his last summer in Moscow included in his 1932 book, Memoirs of a British Agent. He describes how he and his fellow diplomats would go out to Arkhangelskoye for elaborate picnics in the spring of 1918. Though “the peasants” had taken over Prince Yusupov’s land, they had not touched his house. On Sundays they attended the ballet, where everything was unchanged except that now there were Communists sitting in the imperial box. Patrick Gordon commanded Russian armies against the Turks and the Tatars, Barclay de Tolly helped engineer Russia’s defeat of Napoleon, and Garry O’Connor plays for Lokomotiv Moscow. 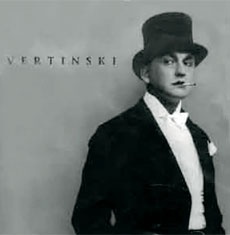 Later that summer, Lockhart was arrested on suspicion of having been involved in the plot to murder Lenin. 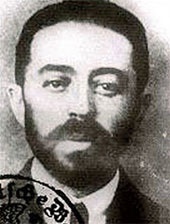 He was condemned to death along with his accomplice, the famous British spy Sidney Reilly (thought to be the model for Ian Fleming’s James Bond). Reilly went underground and escaped, while Lockhart was swapped for a Russian spy in Britain, Maxim Litvinov, who went on to become Soviet foreign minister and, during World War II, ambassador to Washington. The mutual national sympathy which Bruce Lockhart wrote about to his grandmother had developed over centuries. One of the first Scots to devote his life to Russia was Patrick Gordon, an Aberdeenshire soldier who helped Peter the Great seize the throne from his half-sister in 1689. Gordon had come to the tsar’s notice when he commanded Russian armies in the south against the Turks and Tatars. His help in the bloody struggle within the Kremlin earned him Peter’s undying loyalty, to the extent that he was given command of Moscow when the tsar was away. Peter thought so highly of Gordon that he sat with him on his deathbed in 1699 and personally closed the old Scottish soldier’s eyes after he expired. Field Marshal Prince Barclay de Tolly, though born in Riga, was descended from another old Aberdeenshire family, in his case one which had had close contacts, both trading and military, with the Baltic since the late Middle Ages. 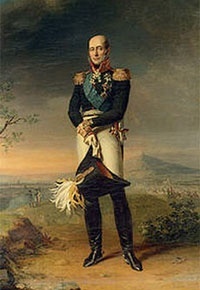 De Tolly was the imperial war minister at the beginning of 1812, shortly before Napoleon’s invasion of Russia. It was he who devised the policy of giving ground and maintaining an army in being, a strategy that eventually led to Napoleon’s defeat. In 1815, he led the victorious Russian Army into Paris. 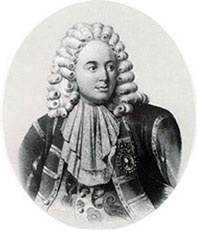 On the marine side, perhaps the most distinguished Scot in Russian history was Samuel Greig, born at Inverkeithing in Fife in 1736, who became Catherine the Great’s most successful naval commander. As a relatively junior officer, he spearheaded the attack that destroyed the Turkish naval forces at Chesma Bay in 1770 (helped by another Scot, Lieutenant Drysdale). This was the greatest defeat the Turkish navy had suff ered since the battle of Lepanto 200 years earlier. Greig was rewarded with promotion to admiral. By 1788, he was in the Baltic commanding the fleet that defeated the Swedes in one of the bloodiest battles in world naval history. Greig’s exertions were such that he fell ill soon afterward and died four months later in the then Russian port of Reval, which is now the Estonian capital, Tallinn. But the family’s contributions to Russia did not end there: Greig’s son commanded the Russian Black Sea Fleet with distinction, inflicting more defeats on the Turks in the early 19th century. His grandson became the imperial minister of finance. These are just a few items from a vast and fascinating story. Now that war has been replaced by sport as a way in which young men try to make their fortunes, it might be appropriate to mention one of the most recent Scottish exports to Russia, the great Hibs, or Hibernian Football Club, striker Garry O’Connor. He transferred from Leith, just across the Forth from Inverkeithing, to Moscow a year ago to play for Lokomotiv Moscow. Most recently, he scored the final goal, 15 seconds from the whistle, in Loko’s surpise 4-0 defeat of Dinamo. What might happen if they play the Turks?